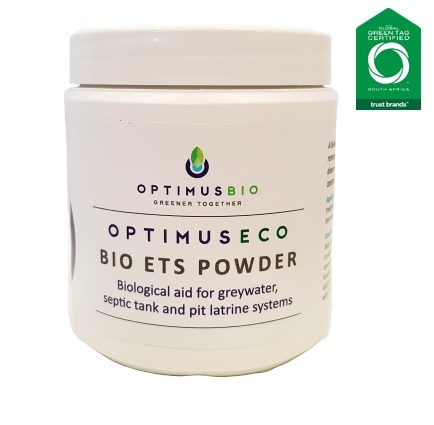 Optimus Eco BIO ETS RTU Powder for maintenance and treatment of grey-water, septic tanks and pit latrines. 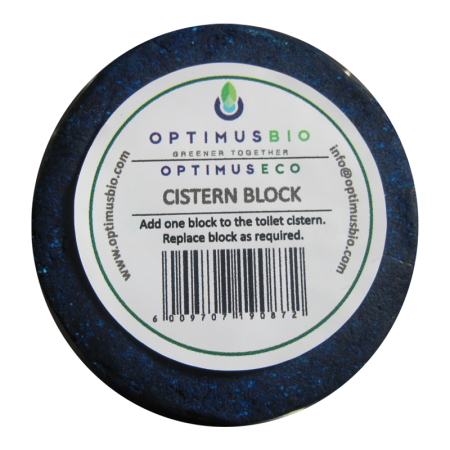 Biological aid for grey-water, septic tank and pit latrine systems. 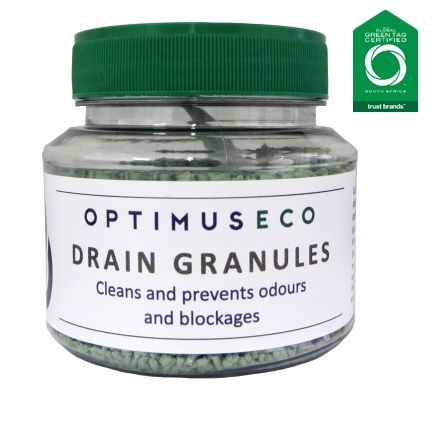 The product breaks down wastes, organic solids and controls odour in grey water, septic tank and pit latrine systems.